American companies are expanding rapidly in rich Asian countries where demand for expensive goods and services is rising along with a higher standards of living. This means that well known companies such as the American fast food giant McDonald’s need to come up with new and inventive marketing strategies to get popular among consumers that weren’t used to this type of food until now. 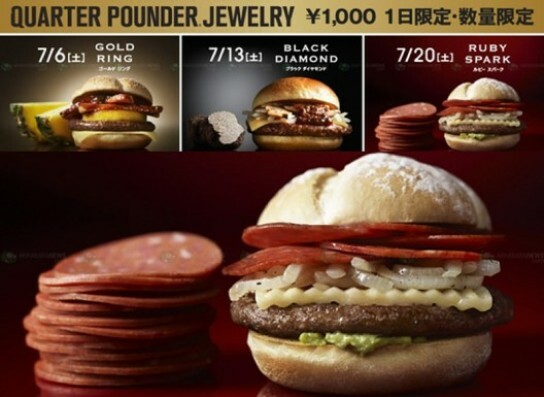 In Japan, McDonlad’s launched their most expensive series of hamburgers called Quarter Pounder Jewelry Series having a selling price of nearly 10 $ each. 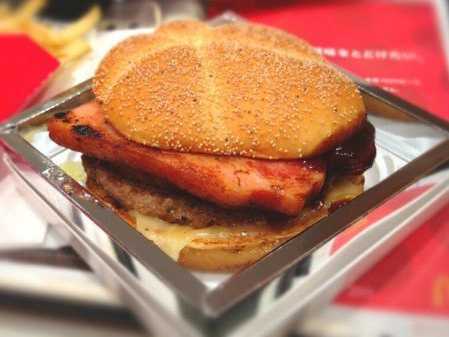 Special ingredients such as bacon, monterey cheese, pineapple , mushrooms, avocado or barbecue sauce were used to produce three varieties of burgers called : ” Gold Ring ” , ” Black Diamond ” and ” Ruby Spark “. 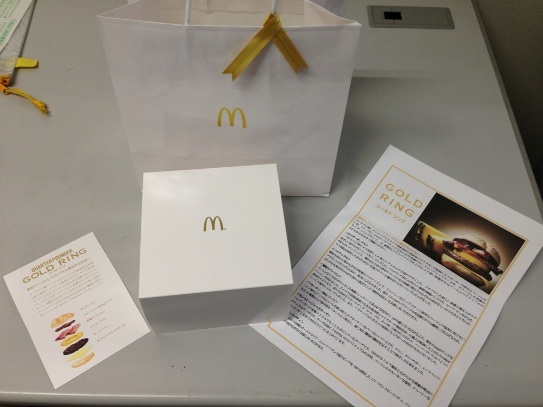 Being luxury burgers they required a proper packaging so they were packed into shiny and expensive looking white boxes with golden logo and then sold into a high quality glossy bag , giving the impression of an expensive gift.